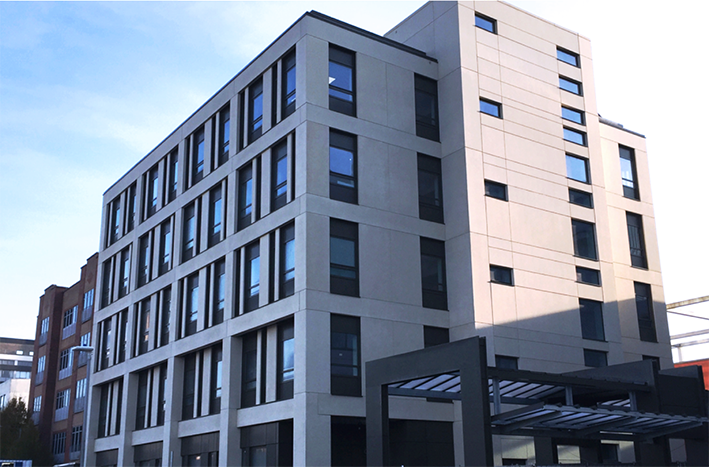 The NIHR Cambridge BRC has embedded essential infrastructure on the Cambridge Biomedical Campus making sure we translate our world-leading science into real benefits for healthcare. Headquartered in Cambridge the NIHR BioResource is an umbrella organisation established around 13 of the NIHR BRCs and CRFs in Birmingham, Cambridge, Exeter, Leeds, Leicester, London – includes Barts, Guy’s and St Thomas’, Maudsley, Moorfields and UCLH; Manchester, Newcastle and Southampton. The CCRC provides state-of-the-art, clinical research facilities to support world class research in a wide range of clinical conditions in patients of all ages, translating cutting edge science into the medicines and treatments of the future. The NIHR/Wellcome Trust Clinical Research Facility (also a cross-cutting theme in the NIHR Cambridge BRC), is a 24/7 inpatient unit with a Metabolic Research Area containing measurement technologies for energy balance and body composition allied to metabolic magnetic resonance spectroscopy in the Wolfson Brain Imaging Centre. This CRF has dedicated facilities to accommodate children. The Clinical Investigation Ward (CIW) operates on a day case basis, undertaking later-phase clinical trials. Level 2, Interventional Investigation Unit: Facilities to undertake research endoscopies; cell therapy and minor procedures. Level 3, Early Phase Trials Unit: Dedicated facilities for early phase studies including first-in-human trials. Level 5, Clinical Research Facility: A 24/7 unit accommodating research in diverse specialties in adult patients and volunteers. To contact the CCRC call: 01223 254800. The Cambridge Clinical Trials Unit (CCTU) was established in 2011 and is hosted at the Cambridge University Hospitals NHS Foundation Trust as part of the Cambridge Biomedical Research Centre. The CCTU works with researchers from Cambridge University Health Partners (CUHP) to conduct the highest quality clinical research, addressing important questions related to human health and disease. Major areas within our portfolio include: oncology, cardiovascular disease, infection and immunity, paediatrics, neurology, neurosciences and trauma, imaging, surgery and peri-operative care. We strive to deliver world class clinical trials ranging from national to international, single to multi-centre, CTIMPS, non-CTIMPs and medical device trials. The CCTU supports all trial stages, from study design, costing grant proposals, developing protocols, obtaining necessary approvals, delivery and quality control, to data management, final analysis and dissemination. The CCTU is part of the NIHR UKCRC Registered CTU Network, and receives NIHR CTU Support Funding to develop and conduct NIHR trials. The CCTU is also a member of the NCRI Cancer CTU. We are a founding member of the International Clinical Trials Centre Network, which aims to improve clinical research by fostering collaborations worldwide. The Clinical Trials Pharmacy is a dedicated group of pharmacists, technicians and support officers who manage pharmacy's ongoing commitment, support and development of clinical trials. NIHR Cambridge BRC Cell Phenotyping Hub, established in 2011 for rapid processing and analysis of human samples operating under the direction of Anna Petrunkina, is a major component of the BRC infrastructure and simultaneously part of the cross-cutting Inflammation, Infection and Immune-therapeutics research theme. Simultaneously part of the cross-cutting Inflammation, Infection and Immune-therapeutics research theme. The Hub’s mission is to deliver advanced scientific technologies for supporting the excellence in research of a partnership between the University of Cambridge and Cambridge University Hospitals NHS Foundation Trust. The Hub provides state-of-the-art resources and cost-effective high quality scientific, educational and technological expertise and services across the wide range of cytomics. These services fall mainly into three major areas: research service, clinical services and technology services. They include but are not limited to fluorescence-activated and magnetic cell isolation and purification, single cell analysis, confocal imaging, sample preparation (laser capture microdissection and blood processing) and phenotyping. The Hub is equipped with state-of the art equipment including high speed cell sorters, bench top analysers and high content/high throughput equipment. A further function of the Hub is to collect and to disseminate the unique technological and scientific expertise crucial for promoting and supporting patient-based basic research and for translating basic biological findings into clinical practice. The Hub drives technological innovations and applies technical and instrumental advances to expand the portfolio of services and fulfill the emerging research needs. Our group consists of research and support scientists and technologists with long history record of research and development and with commensurate level of scientific and technical expertise. Through our collaborative Research and Development service we foster and fortify collaborations that result in many major publications. The Hub laboratories are located on Level 6 of the Addenbrooke’s main hospital block in E6. For access to the Hub services, all new clients and prospective collaborators are invited to attend a Hub induction with Director to discuss their research needs and to customise provision of services. The Cambridge Brain Bank was established to enable brain tissue to be used after death for research into neurodegenerative disorders such as Dementia (Alzheimer’s, Frontotemportal etc. ), Motor Neurone disease, Huntington’s disease, Multiple Sclerosis, Parkinson’s disease etc. The donation of post-mortem brain tissue for research is of fundamental importance to further understanding of the causes of these disorders and to develop more effective diagnostic tools and treatments for these conditions. 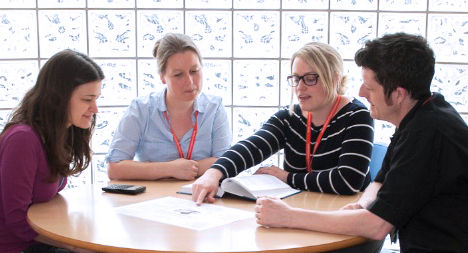 NIHR BRC-MRC BioRepository: Sample Integrity Through Scientific Expertise. Our high-tech laboratory offers a range of services, including sample receipt, -80°C to +4°C short term-storage, DNA extraction, DNA quality control, re-arraying, automated sample storage, precision automated liquid handling and LIMS. The NIHR BRC-MRC BioRepository is a modern laboratory based in the centre of Addenbrooke’s Hospital, providing research support for studies and trials on the Cambridge Biomedical Campus. It has expertise in supporting small research projects through to large multi-site national studies where it receives, processes, stores, retrieves blood and other research material. The facility has some of the most advanced automated systems for retrieving and arraying biological material for biomarker applications. In addition to this, it has efficient and cost effective systems for extracting DNA, and can provide a full DNA QC and quantification service. All the material that is processed in the laboratory is entered into a Laboratory Information Management System (LIMS); this provides a full electronic chain of custody for samples. The facility has monitored Ultra Low Temperature Freezers that can be used for short-term storage and a team of five expert staff to provide dedicated research support. CBAL offers a high quality cost-effective analytical service. Since its inception in 2008 the laboratory has worked closely with many research groups across the CUH campus and helped several local commercial companies develop and evaluate their novel assays. • Derivation of hIPSC lines for disease modelling. • Genome editing using CRISPR-Cas9 technology. CRISPR-Cas9 has emerged as a powerful tool to generate hIPSC lines with knockout for specific genes and to correct disease-causing mutations, thereby creating isogenic cell lines for disease modelling. The core facility has successfully applied this technology to generate knock out and knock in hIPSCs. We can assist on any stage of the process including designing and cloning of the constructs, transfection and genotyping. • Training for IPSC derivation, IPSC culture and genome editing. The BRC hIPSC core facility provides hands-on training for derivation, characterization, differentiation and genome editing of hIPSCs. Future activities of the hIPSCs core facility will also include the derivation of primary organoid culture from adult organs including liver and gut. 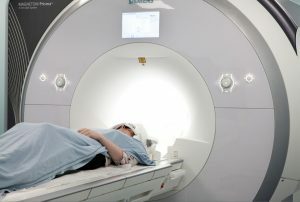 Cambridge is fortunate to have excellent clinical cross-sectional functional imaging facilities with research access to four 1.5T, three 3T MRI systems, four multi-detector CTs (16, 64 and 128 multi-detector), dual source and dual energy CT, more than eight colour flow Doppler US systems, several gamma cameras and PET-CT. The MRC clinical infrastructure funding has provided exciting new opportunities with the upgraded 3T and new 7T MRI, PET-MR and a second clinical hyperpolariser. In addition, an upgraded and extended GMP PET radiopharmaceutical unit with an on-site cyclotron and state-of-the-art radiochemistry systems with the capability of producing a large range of short-lived and longer-lived PET radiotracers. These installations will particularly facilitate and enhance experimental therapeutic trials in dementia, oncology, cardiovascular medicine and within other themes in the Cambridge BRC. The Stratified Medicine Core Laboratory (SMCL) Next Generation Sequencing Hub is hosted by the Department of Medical Genetics, University of Cambridge. Uniquely, the facility is housed within the Genetic Laboratories of the East Anglian Medical Genetics Service, allowing us to offer researchers access to clinical grade next generation sequencing services. We offer a range of services from; nucleic acid extraction (from whole blood, buffy coat, tissue etc), full library preparation, sequencing only, and complete end to end services. We have a full suite of Illumina sequencing instruments (MiSeq (Dx), NextSeq 500, HiSeq 2500 & HiSeq 4000), which allows us to offer a large sequencing capacity. Allied to the sequencing equipment, we have a wide range of ancillary resources, including; Agilent Tapestation 4200, Qiagen QiaSymphony extraction platform, Covaris E220 Ultra-Sonicator, Beckman Biomek FXp Liquid Handling Automation Station, all of which is backed by our Clarity Gold Laboratory Information Management System (LIMS).